No longer do you have the solar panels sitting on top of your roofing. The panels become part of your roofing materials. No penetrations in the roofing materials and wind rated at 110mph. Apollo II Solar Roofing - Radiant energy...Brilliant Looks In our highest producing solar shingle. Efficiency: 14 high-efficiency monocrystalline silicon solar cells per module for a power rating of 54 watts per module. 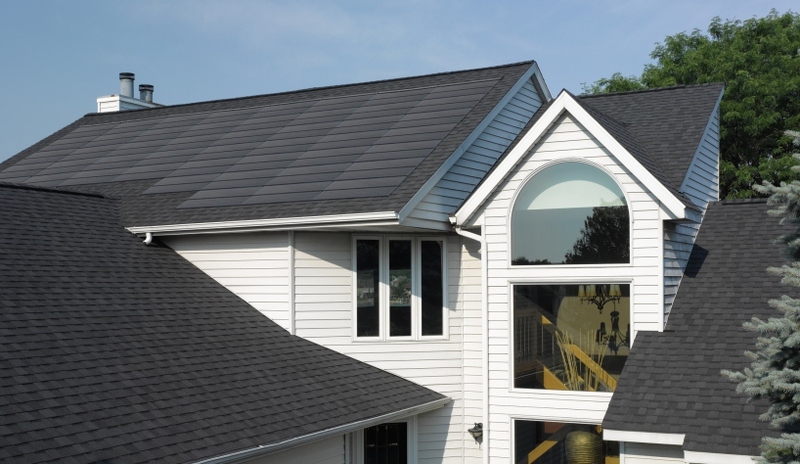 Solstice® - CertainTeed's most efficient solar roofing solution. 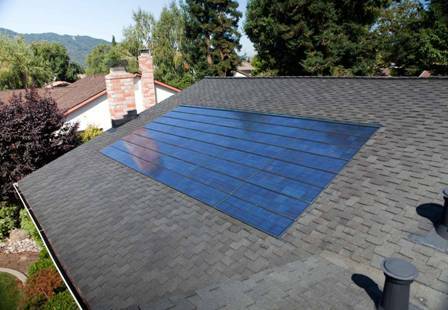 Solstice Solar Roofing System uses aesthetically-pleasing, rack mounted modules utilizing monocrystalline technology. Solstice performs...with significant energy savings, reduced carbon emissions, and the highest electricity conversion efficiency for thin film solar modules in the world. That means it will generate some or all of the electricity your home uses during the day, plus more when your home isn't drawing on it. And if you don't use all the electricity your roof makes, the excess power flows back through your meter into the power grid, causing your electric bill to go down even further. And all that power generated through sunlight is power that coal, natural gas or nuclear energy doesn't have to work for. We are partners with CertainTeed in bringing the latest technology in Solar Power.